Delia Davin, a scholar who helped bring questions of gender to the center of China Studies, has died at home in Leeds, England after a long illness. She was Emeritus Professor of Chinese Studies in the School of Languages, Cultures and Societies at the University of Leeds. Delia Davin grew up in Oxford, the granddaughter of Irish migrants to New Zealand and the daughter of expatriate New Zealand parents. She left school at fifteen, finished her “A” levels in evening classes, and in 1963, at age 19, went to Beijing with a small group of “foreign experts.” She taught English at the Beijing Broadcasting Institute, living at the Friendship Hotel and remaining in China until 1965. Her first book, Letters from Peking, published in 1967, drew upon that experience. Subsequently she completed her B.A. (1968) and Ph.D. (1974) degrees in the Department of Chinese at Leeds, with research stints in Paris and at the Universities Service Center in Hong Kong. She worked in China from 1975-6 as a translator at the Foreign Languages Press. For sixteen years Davin was a lecturer in the Department of Economics and Related Studies at the University of York, becoming a founding member of York’s Centre for Women’s Studies, the second institution in the UK to offer an M.A. in Women’s Studies. In 1988 she returned to Leeds to teach Chinese history and social studies, where she was, in succession, a Senior Lecturer, a Reader, and a chaired Professor, also serving terms as Head of the Department of East Asian Studies and Deputy Head of the School of Modern Languages and Cultures. She served as President of the British Association for Chinese Studies, a member of the China Panel of the British Academy, and a member of the Executive Council of the Universities’ China Committee in London. 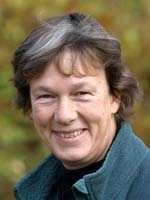 She retired from fulltime work in 2004, but remained an active researcher until shortly before her death. Davin was one of the first foreign researchers working in China to pay attention to Chinese Communist Party policies on women and the complex effects of those policies. She followed several important early articles with her 1976 classic Woman-Work: Women and the Party in Revolutionary China. The book outlined Party policies toward women from the 1930s until the establishment of the PRC, and then provided the first fine-grained study of the changes in women’s status after 1949. It included chapters on the Women’s Federation, marriage reform, the effects of land reform and collectivization on women, and the lives of urban women. Davin appreciated the enormity of the changes that the new Party-state was initiating, but she did not shy away from analyzing the contradictions between the state’s economic goals and women’s skills and ongoing domestic burden, or between the ambitious Marriage Law and the difficulties of its implementation, or between rural women’s growing capacity for economic independence and their continued embeddedness in patrilocal families. The book, which centered on the changes of the 1950s, effectively laid out an agenda for much of the subsequent scholarship on women in the Mao years. In 1999, tracking the changes of the post-Mao economic reforms, Davin published a second major study, Internal Migration in Contemporary China. At the same time she continued to investigate the changing circumstances of women in substantive essays exploring marriage migration, domestic service, and welfare entitlements for Chinese women workers. Her jointly edited book China’s One Child Family Policy (1985) was one of the first studies of the early effects of that policy. Another ongoing research interest was the life of Mao Zedong and the legacy of Maoism. Her book Mao Zedong: A Life appeared in 1997. In 2013 she published a volume on Mao in the Oxford University Press “very short introduction” series. She was also, with William Jenner, the translator, editor, and introducer of Zhang Xinxin and Sang Ye’s book Chinese Lives: An Oral History of Contemporary China. One of Davin’s last pieces of writing was her 2015 Introduction to Daughter of Good Fortune, the autobiographical narrative of a rural Chinese woman named Chen Huiqin written with her daughter Chen Shehong. Warm, perceptive, a committed activist for social justice, a generous mentor and an extraordinary friend, Delia Davin remained intellectually and politically engaged all her life. She is survived by her husband, Owen Wells (who can be contacted at o.r.wells@gmail.com), and her six children and stepchildren. Further details about her life and work can be found in John Gittings’s piece about her in The Guardian, https://www.theguardian.com/world/2016/oct/16/delia-davin-obituary. A memorial and celebration of Delia Davin’s life will be held on October 25th in Leeds. Those wishing to make a gift in her memory are invited to contribute to Doctors Without Borders (Médecins sans Frontières) and Manorlands Hospice. Posted in News in the field	Bookmark the permalink.